The Armadillo LT replaced the Hillsound Armadillo Gaiter. The Hillsound Armadillo LT gaiters provide full length protection from the wet and yuck, but are breathable and light enough to wear all year long. A waterproof front zipper makes for easy use. Flexible upper material fits closely for less friction, yet allows freedom of movement for hiking, snowshoeing, or light climbing. Easily replaced foot strap is a bonus. 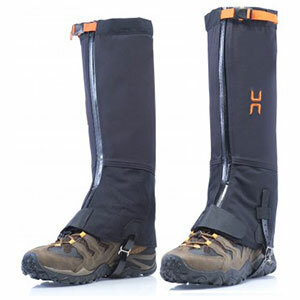 Close fitting ankle to knee gaiter, but very flexible and light. Based on the Hillsound size chart I tested the Large size on my boots (Limmer Standards and Limmer Light-Weights) which were both of a size 11.5 USM / 45 EUM. My calf circumference measures roughly 17" which puts me at the top end of their sizing for the Large. With five unisex sizes to choose from finding the right fit should be easy. Click on size chart to enlarge and clarify. 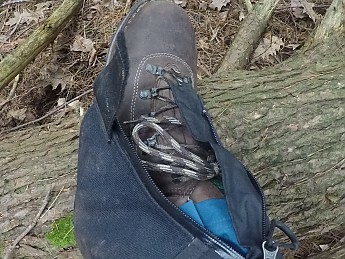 I found the gaiters fit well against my boots as their shape conformed to the contours while the strap and front hook held the lower portion in place. This shape should wrap around most standard hiking boots well. During initial warm weather testing the calf area was quite roomy with some looseness even where the muscle is largest. My notes from that time mention comfort, roominess, and flexibility. The calf strap runs through a 1.25" wide fold of material at the top, which held them up without being irritating or restricting. was tough. Remember to measure all of your layers when choosing a size! In cold weather testing I found that my calf muscles combined with extra layers was a bit much for the available room. It wasn’t uncomfortable once in place, but getting the zippers started was difficult. Size up if you are close to the upper limit to allow for more layers. The Armadillo LTs were still very comfortable in use and I didn't feel restricted even when climbing. It was just hard to squeeze the ends together to get the zipper started with multiple layers and a knee brace inside. Rugged instep strap can be replaced if you ever manage to damage it. 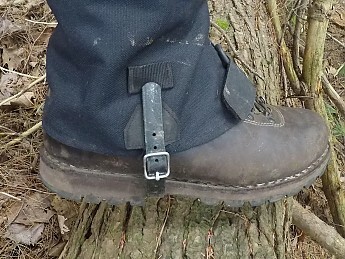 The foot strap has 12 adjustment holes spread over roughly 4.5 inches, which is probably more than most will need, but can accommodate boots as large as US15/EU50 on the XL sized gaiters. As a reference, I used the fourth hole from the widest setting to accommodate either pair of Limmers I wore during testing of the LTs in the Large size. Wide calf strap holds comfortably and extra strap tucks neatly away. The calf strap has an easy to use squeeze clip that is glove friendly. The strap is wide elastic that can be shortened to add tension as needed. Given the comfortably loose fit of the Armadillo LTs the strap is important for keeping them up unless you stuff them with insulation. It was easy to get a good, comfortable fit that felt good for miles on the trail. 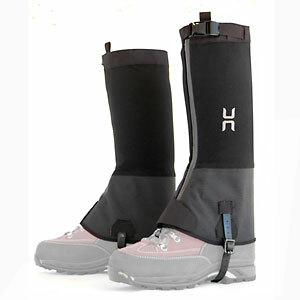 Hillsound has designed these gaiters to be lighter and more breathable than their heavier models. The Armadillo LTs weigh 315g for the Large size, the Super Amradillos weigh 362g in Large and the Super Armadillo Nanos weigh 380g in that size. Those heavier models are designed for more serious mountaineering and the big, sharp crampons used there. The Armadillo LT's upper is made of a three-layer, waterproof yet breathable fabric. This material has the ability to stretch just a bit, so it moves without restriction in this application. This material is much lighter than the 1000D high-density nylon lower which is intended to protect against snowshoe or light traction damage. Easy to grab pull tab and Velcro strap are both glove friendly. The front zipper is a water resistant YYK that can be a little hard to see to get started if I don’t have my glasses on. It moves easily in either direction, but with the firmness one expects of this type of zipper. There is a multi-layer flap behind the water resistant zipper that ensures protection not just from water, but cushions the shin from being compressed by the zipper as you walk. The pull has a large loop making it easy to use with or without a glove. The pull is held in place by a largish Velcro flap at the base. The foot strap is a TPU coated nylon which is somewhat flexible, but isn’t torn apart by rocks. Hillsound made this replaceable by using a buckle on both sides rather than just one. These gaiters were tested over the summer, fall, and winter months. They saw hundreds of miles of New England rocks and then a few months of ice and snow. They’ve held up to the joys of New England trails for months with little sign of use other than some muddy smudges. Rocky trails and brushy bushwhacks have done no real damage and the foot strap remains solid. I loved being able to get at my laces so easily. At first I was slowed down a bit by the zipper front as I was used to the OR Crocodiles’ Velcro front which is very easy to slap into place. Once I got used to having to focus my old eyes to get the zipper started I was able to appreciate the benefits it brought. 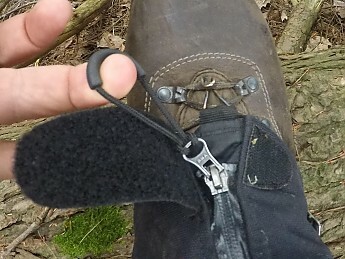 It was very easy to open the bottom just a bit to have access to my boot laces. This made adjustments on trail a quick process, which was really nice. It also was very easy to take off at the end of the day as pulling the zippers up seemed to take less effort than prying apart the big hook and loop closures of the Crocs. Steaming up the side of Mt. Mansfield in the Green Mountains of Vermont. I used the Hillsound Armadillo LTs for about nine months starting in mid June and running through March. They went with me on all multi-day trips and quite a few day hikes in Maine, New Hampshire, and Vermont. Trails ranged from mild to wild with plenty of mud and rocks along the way. 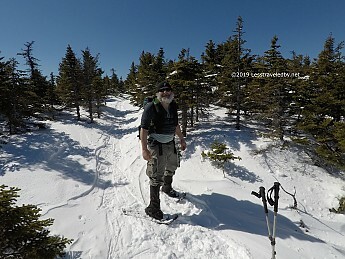 Winter use included a lot of local day hike snowshoeing and a wee bit of overnight backpacking in the Mahoosucs. I was pretty darn happy to get the chance to test these gaiters out as I hike in places where protection is nice year round. Heavy material that trapped heat and moisture were a less than fun trade off though. The Armadillo LTs resolve those issues to some extent by being a bit lighter, but especially by venting some of the heat and moisture. The comfort factor was very noticeable right away. The looseness around my calf was a joy after being used to more confining gaiters. The flexible material meant the legs could move into awkward positions without pinching or being impeded. Winter backpacking in the Mahoosucs. Water protection was pretty good, though could be overwhelmed by extended exposure I believe. I never had water fully soaking through, but once an extended deluge left me with some spots that seemed to be wetting through. Snow was no issue at all though. Multiple days of long hours on trail in the snow made no dent in their waterproofing. The waterproof zipper functioned in deep cold, never icing over. 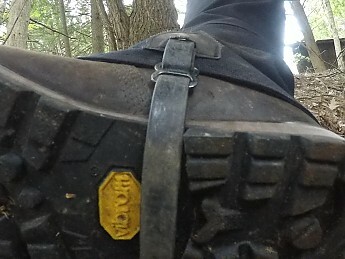 The way the bottom of the gaiter conformed to my boot stood me well on more than one occasion. I recall sliding off a bog board into a small creek while on the Cohos last October and not filling my boot despite the water being well up my shin. One thing I have my eye on is the Velcro flap that holds the zipper pull down. It seems to take a lot of abuse due to the location. 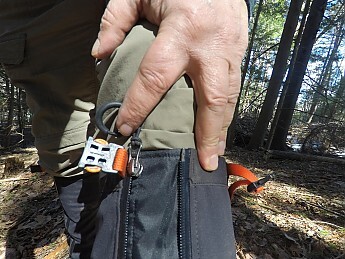 If that flap fails it seems like it would leave the pull exposed to catching on things on trail. No problems at all at this point. I am just watching it to see what happens with a sense of distrust...heh. One other item of note is that the lighter material afforded less shin protection than the heavier material of the OR Crocs. That might be a minor issue when bumping logs in summer or more serious if you tend to have to wade through ice crusts in winter. For ice breaking duty I think I'd prefer a thicker layer of protection. 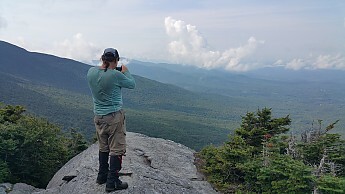 Blue skies and sunshine on West Baldpate in the Western mountains of Maine. Over all I am able to give the Armadillo LTs a pretty high rating based on my experience, but make sure to consider the thickness of cold weather clothing when looking at sizing, especially if you have big calf muscles. Less weight is nice, but the comfort of the fit combined with the venting made me very happy. As a four-season gaiter wearer I can say I liked them in all four seasons. So far they seem pretty indestructible which makes the $49 investment likely to get most folks years of use. 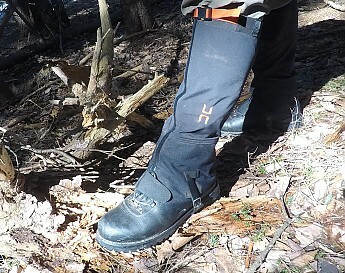 They work well for folks who need a full length gaiter in warmer months to deal with mud or bushwhacking. 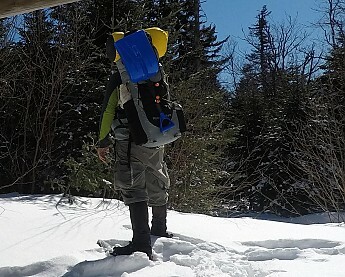 I found them also to work well in the snow, though I would limit use to light traction and snowshoes. Full crampons would probably slice through the lightweight upper material a bit too easily. My Hillsound Trail Crampons and snowshoes didn't leave a mark though. Less Velcro to catch garbage when I used the gaiters as a foot mat under my hammock was nice too! 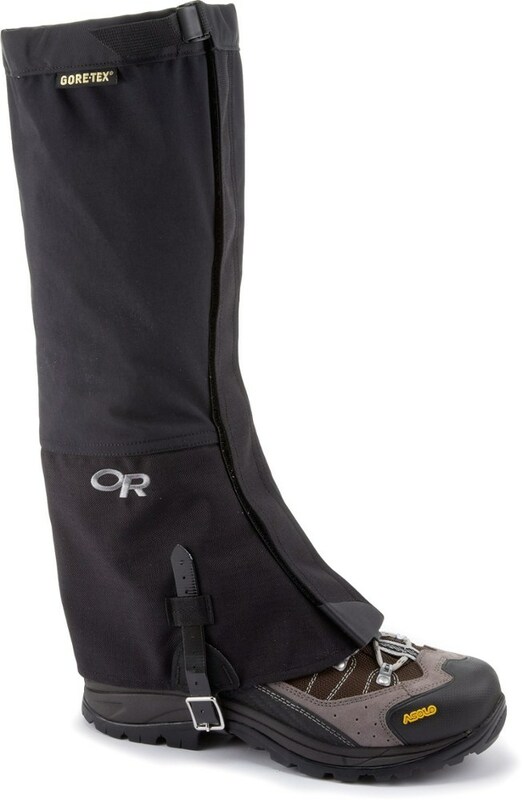 For those who go places where gaiters make sense year-round these are worth a look. Nine months of testing on these. Many years of four-season use of other gaiters. I hike in areas that make gaiters a good idea year-round. Rocky rocks give way to muddy mud and boggy bogs that will make you appreciate a good gaiter. OR Crocodiles have been my go-to for a long time prior to this test. Great review, LoneStranger! So will your Crocs still get some use for heavier conditions? The Crocodiles are killer ice breakers. In years where deep powder is layered with thick ice layers the Crocs allow me to crunch right through. I didn't see those conditions with the Amradillos, but I am pretty sure I'd feel that ice a lot more. If I get the chance to try that next season I will update the review here with a report. I love how there are three ways to adjust these so that they fit really well around the shoe and just below the knee. The zipper makes putting them on very fast as opposed to my other gaiters that have velcro from the top to the bottom. 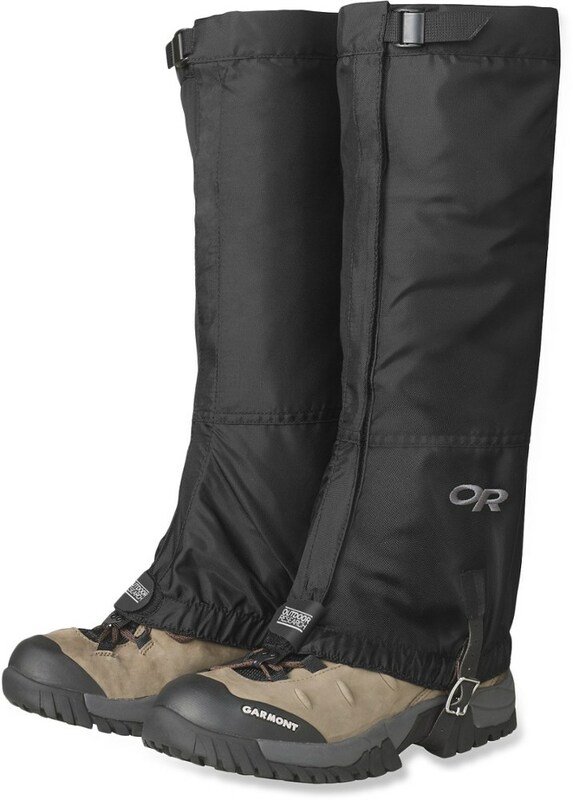 I think they are pretty light and they provide good protection through knee deep snow. I really wish they came in other colors—something fun and bright. 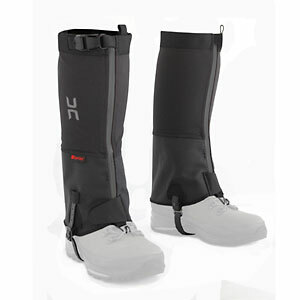 Awesome gaiters tough, light, and waterproof and can't beat the price!! 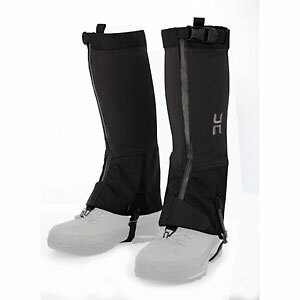 Awesome gaiters, easy to put on and take off. 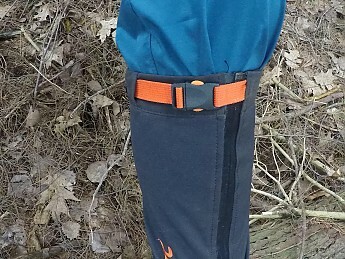 The clips at the top make it really easy to adjust to different pants and keep snow out. 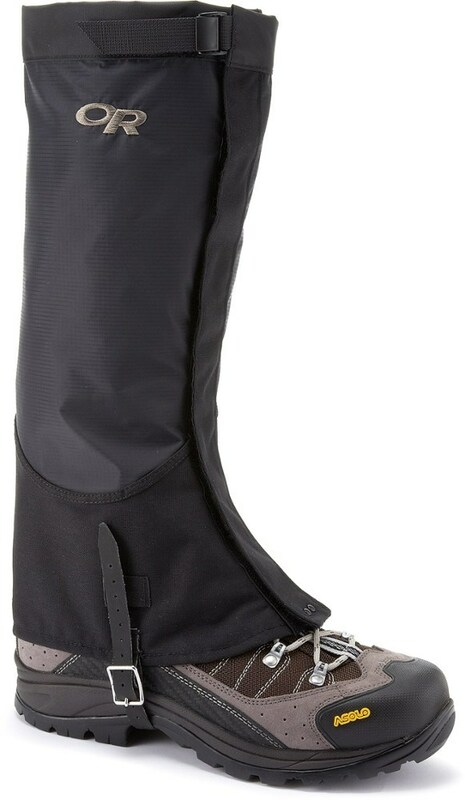 I enjoy pretty much how it protects thes legs and boots from the snow. This product is well manufactured and pretty resistant. I really love it. A bit too warm on certain days. Very comfortable product, easy to adjust, very functional, but sometimes not breathable enough.